Eeeek! Columbia College has noticed an increase in mouse sightings! 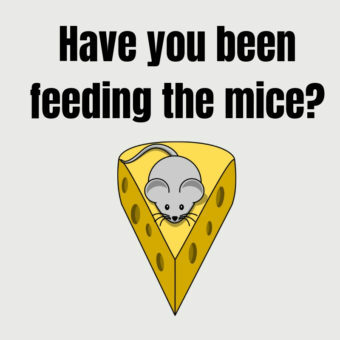 For everyone’s health and safety we are enforcing a new “No Food in the Library” policy until we can get the mouse situation under control. Students leaving crumbs of food behind attracts the attention of these hungry inhabitants. As you know, the floor is a popular spot to study and we do not want you to encounter any mouse droppings. You are still welcome to bring in covered drinks, but please eat any food before entering the library. Please do remember to eat before studying to keep your brain alert and ready to learn! As always, if you bring in any food wrappers, please make sure to dispose of them properly before you leave. Thanks so much for your cooperation with this change.